It was 1927, and Gutzon Borglum had just started his famous Mount Rushmore carvings of Presidents Washington, Jefferson, Lincoln and Theodore Roosevelt. Henry Ford unveiled his new Model A motor car to replace the old Model T, while Charles Lindbergh – the Lone Eagle – was airborne, making the first non-stop, solo flight across the Atlantic Ocean in an airplane. It was also the year that a young lady out of Sioux County Nebraska took over as Principal of the East Ward School in Chadron. Cleo Bigelow was a 35-year-old teacher with 13 years of elementary classroom teaching, and she was no stranger to small town rural lifestyle that dominates western Nebraska. Her teaching would eventually touch the lives of thousands of west Nebraska schoolchildren, and she would become a recognized leader in several education and professional organizations. 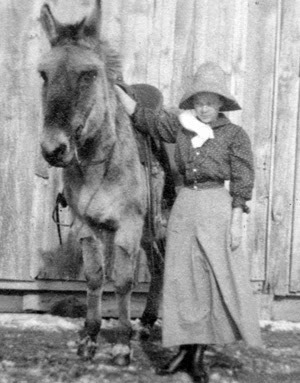 Born in 1892 on a ranch northwest of Harrison, Cleo was the fifth child of Eugene and Elizabeth Bigelow. As was fairly common, the ranch family bought a small house in town so it would be more convenient for the kids to go to school. When Cleo finished her Junior year, she had to go to Alliance to complete her high school education, since the school at Harrison had not yet added a Senior year. Fortunately, her older sister Mabel was teaching in Alliance, and young Cleo lived with her. District 46, the “Dunn School” as it was known, wasn’t far from the Wyoming border, and that’s where Cleo taught in 1915-1916, moving to the Davis School, District 85, the following year, and then to the Lacy School, District 34, just a mile west of the Bigelow ranch. She was there for five years. 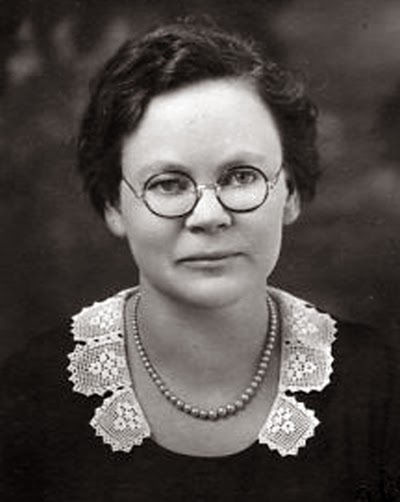 By 1922, older sister Mabel Davis and her husband, Neal, were living in Chadron, and Cleo enrolled in summer school at Chadron Normal with plans to earn a teaching certificate and return to Sioux County to teach. But she was offered a teaching job at the West Ward elementary school in Chadron, and she accepted it. It was in 1924 that Cleo Bigelow began her career with the Chadron Public Schools -- the same year that a studious-looking young lad named James Myers graduated from Chadron High. 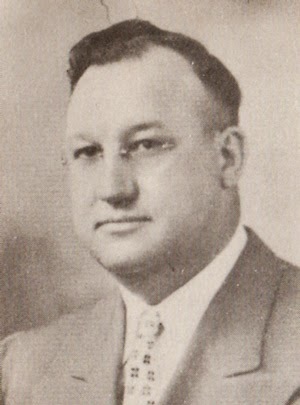 The bespectacled Myers went on to get a diploma from the Chadron Normal School in 1928 and immediately went to work teaching at Chadron High School. Both Bigelow and Myers were destined to have long tenures within the Chadron school system. Cleo was at West Ward for four years before moving to East Ward School, which was housed with the Junior and Senior High School programs in the three-story brick building at 6th and Ann Street. In addition to teaching Kindergarten, Bigelow served as Principal. In subsequent years, she would teach sixth grade and then fourth grade. Even with administrative responsibilities as principal, teaching was never a lucrative career. After 16 years, 47-year-old Cleo Bigelow’s annual income was shy of $1,300 a year. Many of us who tried to keep below the radar and avoid being noticed by Miss Bigelow remember the "Friday morning Sings" in the old auditorium. There, waving her ruler as a baton, she would lead us all in a bit of culture as we raised our voices to sing songs like "Down in the Valley, " "Stodola-Pump," and a few patriotic numbers like "Anchors Aweigh!" One East Warder from that era later perceived that elementary principal Cleo Bigelow and high school principal Jim Myers seemed to share the same philosophy: “spare the rod and spoil the child!” Another student recalls how Miss Bigelow would tote her ruler and occasionally snap it across the hands or fingers of idle students she thought weren’t paying attention. Such was the experience of Jack Castek, who recalls one day in 1952, "While we were reading a book -- the student reading out loud was going very slowly -- so I started reading ahead. Miss Bigelow came alongside me, noticed that I was not following along, and she whacked me alongside the head with a ruler." Castek remembered Miss Bigelow as "fair but hard-nosed." One CHS 1960 graduate – an East Ward alum whose father was on the school board – says he remembers hearing that Cleo Bigelow was one of Superintendent H. A. Schroeder’s favorite teachers. “She had a lot of ideas that she would share with Heine Schroeder, who was inclined to adopt them. And Cleo would never claim credit for them.” He surmised that she was a pretty smart cookie. Another East Ward student whose father also was on the school board back in those days recalls getting whopped alongside the head with a ruler, resulting in a pair of broken glasses. Although Miss Bigelow ended up apologizing in front of the class, "My dad was as mad as a hornet," she remembers. 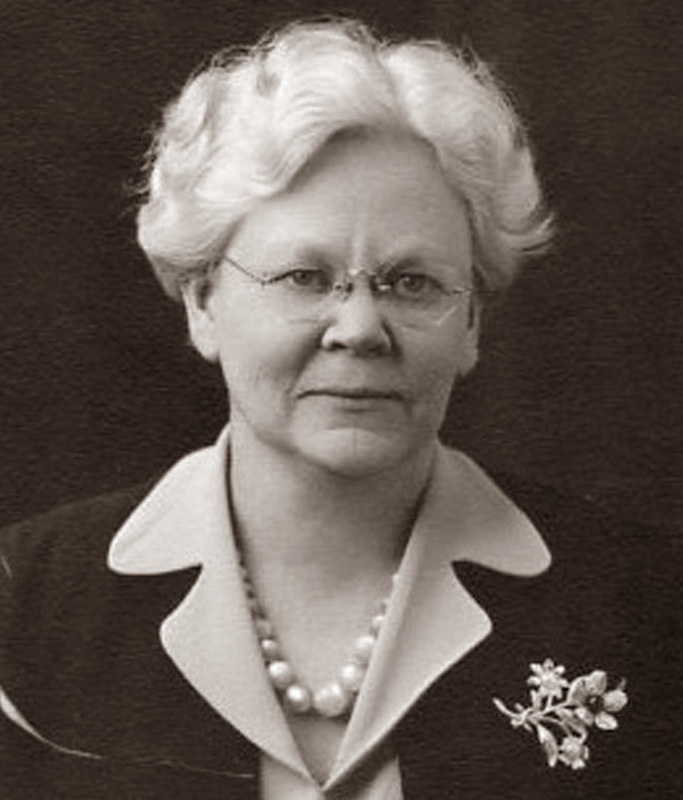 Superintendent Schroeder's daughter, Susan Schroeder Lundborg, doesn't remember Miss Bigelow as necessarily being one of her father's favorites, but she does recall that her mother, Opal, was good friends with Bigelow. "Lorraine (Shaw) and I were best friends, talked a lot to each other, sometimes in class. Miss Bigelow separated us...those multiplication tables were taught by Miss Bigelow and stayed with me through the years." Lorraine (Shaw) MacDonald remembered Bigelow as being "a very firm teacher who was much harder on the students who needed more assistance." One might believe she was challenging them to do better. Amazingly, this writer and many other youngsters who were students of Cleo Bigelow’s, managed to not only survive fourth grade at East Ward, but actually thrive in succeeding years. She had done her job, but it certainly seemed she wasn’t trying to win any popularity contest with her students. She did, however, continue to maintain a strong relationship with her family and her Sioux County roots. “Cleo returned to Harrison each summer to be with her parents, always spending one day a week at the ranch of her brother, Lee, cleaning house and getting a meal for the ‘boys,’ Lee and his long-time hired man, Adrian Smith. She was always available to cook for the branding and threshing crews,” wrote Lois Putnam many years later. Her role changed significantly in May 1959, when she retired from teaching. She was 67 years old and had spent nearly two-thirds of her life as a teacher. School kids, of course, usually see their teachers in the sole capacity of teacher. Heaven forbid teachers should have a life outside the classroom! Cleo Bigelow reportedly enjoyed traveling and was involved with Friends of the Library and Republican Women, among others. And for Cleo, her roots in Sioux County remained strong and durable. Active in several professional and community organizations, she was a charter member of the Chadron Business and Professional Women and a life member of the Nebraska Congress of Parents and Teachers. While she was active in the Methodist Church and the Women’s Society, it was with the Woodbine Rebekah Lodge of Harrison that kept Cleo active for more than 70 years. She held many offices in the lodge and in 1953 she was honored with the Rebekah Degree of Chivalry – the same honor once afforded her mother, Elizabeth Bigelow. 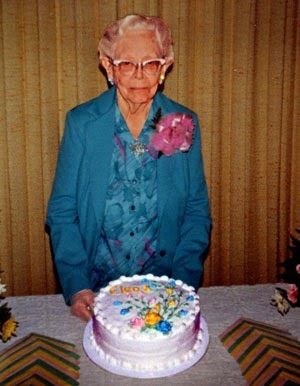 In September 1982, Cleo Bigelow celebrated her 90th birthday. She would live another six years, but she endured growing difficulties with glaucoma and lost her vision. Long-time neighbors Bob and Therese Hinman took Cleo into their home and cared for her in the final few years of her life. She died in their Lake Street home on June 9, 1988. She was 95 years old.